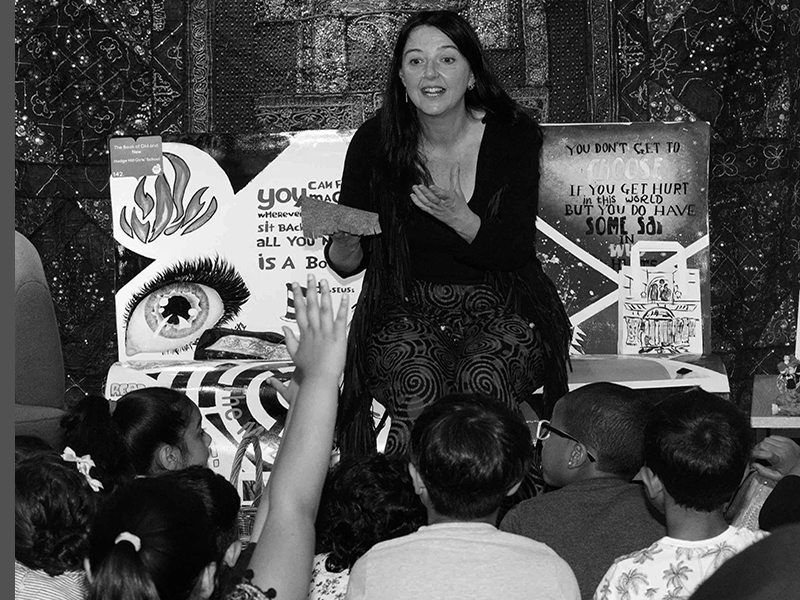 Hi, I’m Pyn Stockman and I’m a professional storyteller I work with and bring to life stories of all kinds. 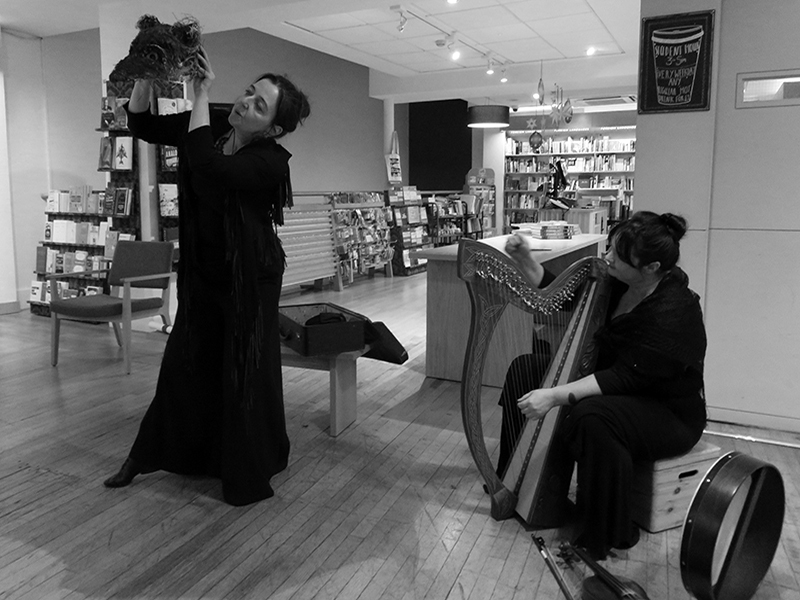 I perform everything from folk and fairy tales to myths and legends. I tell to people of all ages, in all kinds of spaces: Schools, libraries, hospitals, book shops, museums, woodlands, theatres, festivals and community venues. 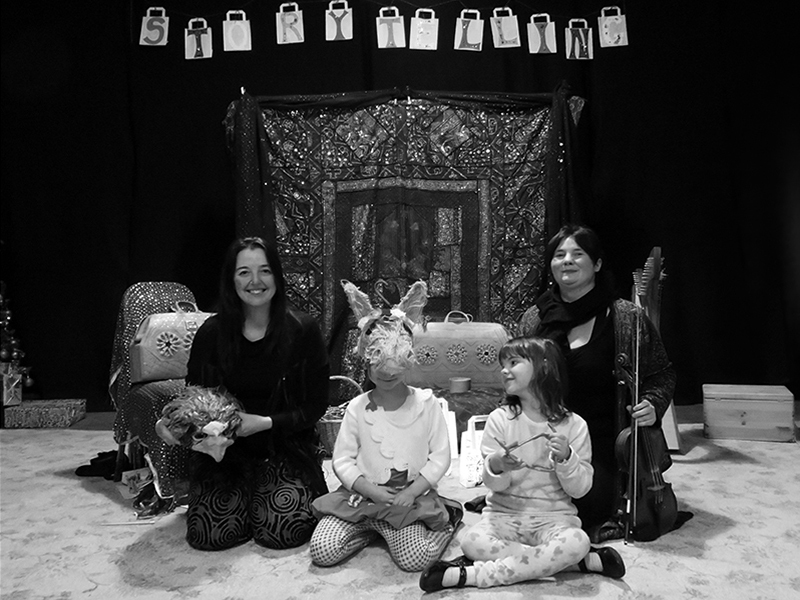 I work regularly with Birmingham Hippodrome, City of Birmingham Symphony Orchestra and Moving Hands Theatre Company combining storytelling with theatre, music and puppetry. I have trained in the art of narrative and performance storytelling with Ben Haggarty Crick Crack Club and Nell Phoenix . You might find me telling stories to adult audiences in storytelling clubs and venues like Birmingham Storytelling Cafe and Torriano StoryNight or at The Stagey Fox. I create masks and puppets and sometimes involve them in the stories particularly for a younger audience. I also work with people to become storytellers and can offer training and workshops for both children and adults. I am co-artistic director of Secret City Arts, where I work with writer Mandy Ross and a host of partner organisations to explore the secret wild green spaces and hidden history in the urban world. As part of this work I collect oral history recordings and urban legends; work with archive material and historical data. Alongside project participants we create living stories through publications, performance, audio and film. I am currently touring storytelling versions of “Midsummer Night’s Dream” and “Romeo and Juliet” through the City of Birmingham Symphony Orchestra: Shakespeare in Action -programme. I have a number of performances suitable for schools and libraries that are ready to go. I am also able to develop a story for a specific event or theme. If you are interested in storytelling performances or training for adults you can find out about that here. If you would like to see me perform you can find out about my up coming public performances here. Interactive storytelling performances and workshops for all Key Stages and for those with Additional Needs. Training and CPD for those interested in exploring the art of storytelling. 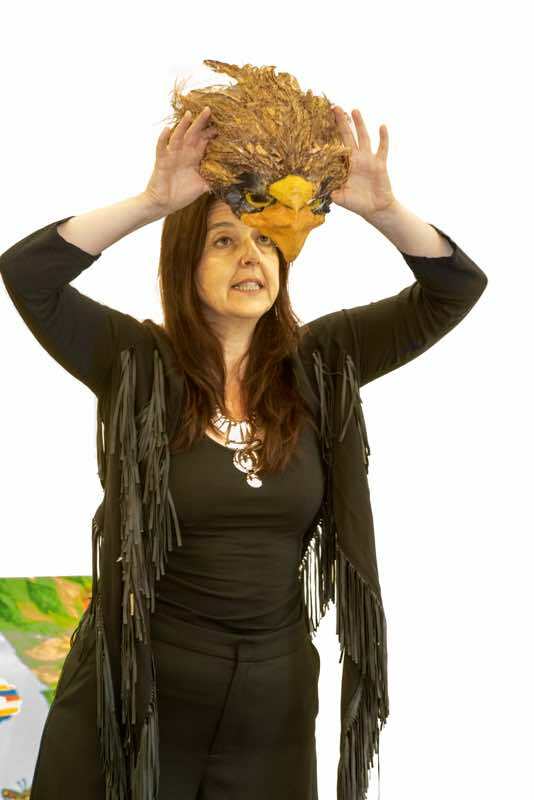 Pyn’s family friendly storytelling has been described as brilliant, wonderfully lively and always inclusive. Each story is expertly crafted to inspire and engage children of all ages. Magical, mesmerising or with a dark twist to the tale, these performances have been crafted with an adult audience in mind. Often in collaboration with musicians from a range of backgrounds.